Rich Alexander, the President & Founder of Addiction Recovery Management and Marketing LLC, is a dynamic team leader. He is known for working cross-functionally with divergent groups leading them to their common objectives. As a person in Long-Term Recovery for 24 + years, Rich has combined his 20 plus years of marketing, management and sales experience with his passion for working with people in recovery into a unique organization designed to lead addiction recovery organizations into the 21st century. Currently, Rich is working with organizations on Communications Planning and Organizational Structure Development. Rich started his career in banking and financial sales eventually transitioning to pharmaceutical advertising and marketing. 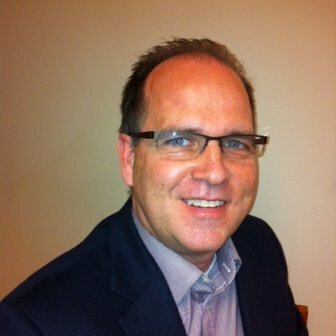 He has extensive experience in Project Management focusing on business process improvement impacting bottom-line operational goals. While at Pfizer Inc for 10 years, Rich became a Director of Multi-Channel Marketing working directly with Primary Care Marketing Leaders on their Change Management initiatives. Strategic Planning and Execution were always inherent aspects of these initiates. Additionally, he led numerous Cross-Functional Teams partnering with Finance, Sales, Sales Operations, Sales Force Optimization, Marketing, Marketing Operations, Patient Adherence, Management Science, Market Research, Editorial, Legal, Regulatory and Medical. Prior to working at Pfizer, Rich worked at Saatchi and Saatchi’s Klemtner Advertising along with other Ad Agencies developing and executing marketing initiatives for some of the worlds largest brands. Rich holds a BS in Marketing from Rutgers University and an MBA from Seton Hall University. Copyright © 2019 Addiction Recovery Management and Marketing. All Rights Reserved.